The constituents of Agbenema Ife Community in Omala Local Government Area, Kogi East Senatorial District in Kogi State have cried out over what they termed fraudulent execution of constituency projects by Senator Attai Aidoko. Speaking to our reporter, the community alleged that the community’s major problem is water. Fortunately, when they got wind that a water project has been scheduled for the community as Senator Attai Aidoko’s constituency project for the community, they were relieved. But their joy for borehole water was dashed because the project never went farther than erecting an overhead tank. “On enquiry, we found out that the project has been earmarked and paid for through the office of the Sustainable Development Goal (SDG). And the one who the contract was awarded to is no other person than Senator Attai Aidoko’s Senior Legislative Aide, Daniel Yusuf”. 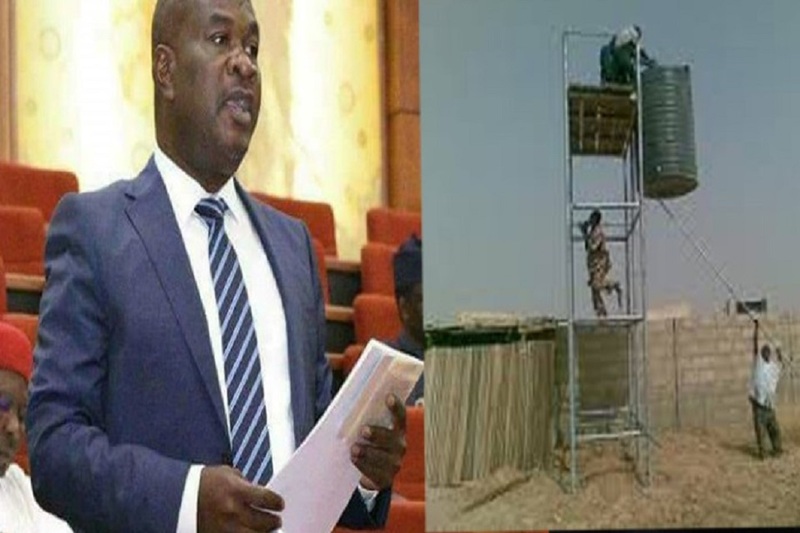 The community alleged that Yusuf hurriedly mounted a substandard overhead tank in order to enable him to assess the money for the constituency project only to abandon the project months after collecting money. “He only mounted a substandard overhead tank, collected the money and disappeared. That was why he refused to put a sign board to show details of the contract, the supervisory agency, the contractors name and other information that can enable one to assess information about the contract. “We hear that this is the game our so-called Senator is playing with his SLA in other places within the Senatorial District. “We want you to help inform the Nigerians of goodwill that we are dying of lack of water even after money meant for borehole in the community has been paid”. All efforts to get Senator Aidoko to address the allegations were unsuccessful as his lines were switched off and text messages sent to him were not responded to as at press time.